31270 leaving Rowsley South 19th July 2008 31270, now shorn of its Wigan Pier nameplate on one side, leaves Rowsley South with a service for Matlock Riverside during a Peak Rail diesel gala on 19th July 2008. Photo: Mark Burrows. 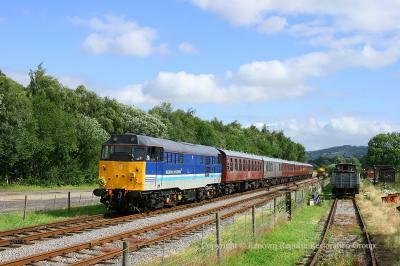 31270, now shorn of its Wigan Pier nameplate on one side, leaves Rowsley South with a service for Matlock Riverside during a Peak Rail diesel gala on 19th July 2008. Photo: Mark Burrows. 31270 preparing to run round at Rowsley South. 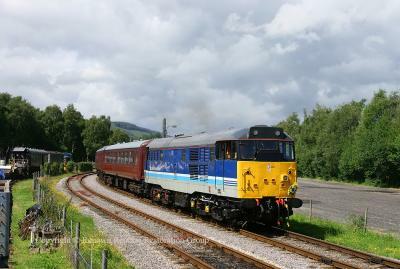 31270 waiting to uncouple and run-round the train at Rowsley South on 17th July 2008. 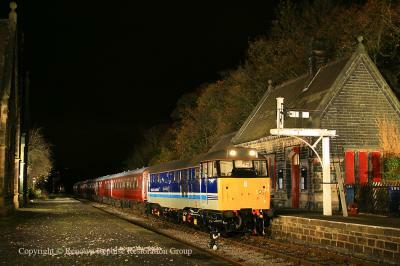 The locomotive was repainted into Regional Railways livery following an internet poll. Photo: Mark Burrows. 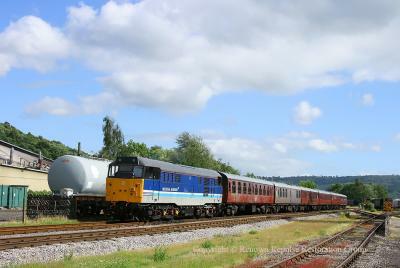 31270 waiting to uncouple and run-round the train at Rowsley South on 17th July 2008. 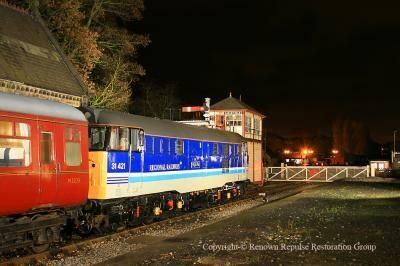 The locomotive was repainted into Regional Railways livery following an internet poll. Photo: Mark Burrows.